There is no tsunami threat to Hawaiʻi after a 4.5 (preliminary magnitude 4.4) earthquake reported at 10:09 a.m. on Wednesday, June 21, 2017 about 70 miles SW of Hilo, Hawaiʻi, in the vicinity of South Point. 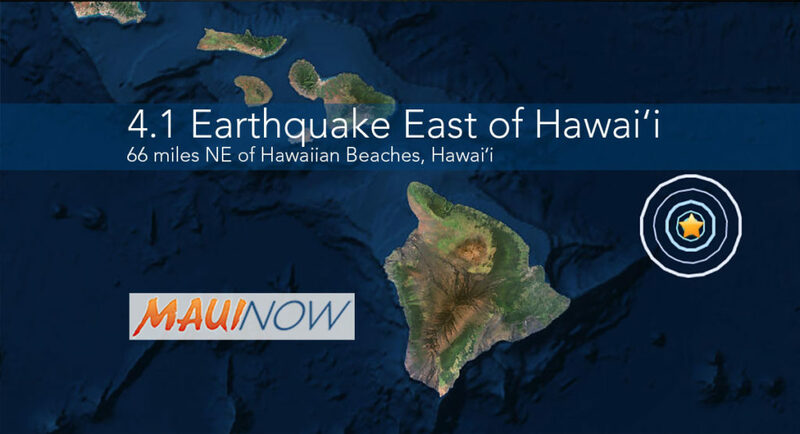 Hawaiʻi earthquake, 6.21.17. PC: USGS. 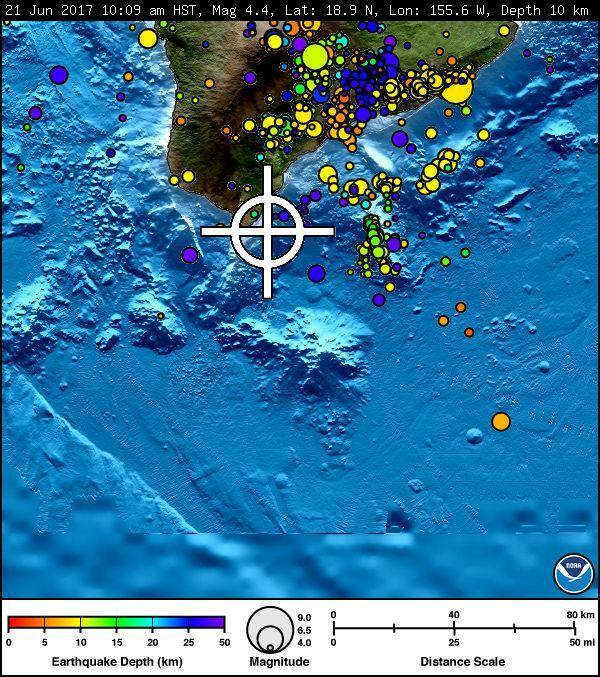 According to the USGS Did You Feel It Website, the majority of felt reports were from individuals in the Naʻalehu area. The site received 36 felt reports within the first ten minutes of the earthquake, and over 150 felt reports within the first 30 minutes of the earthquake. 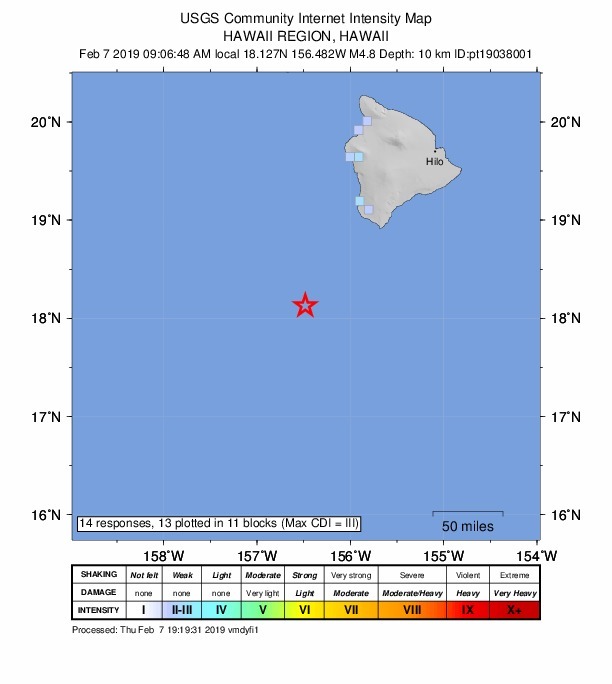 The Pacific Tsunami Warning Center reports that the earthquake was not large enough to cause a tsunami for the island or state. 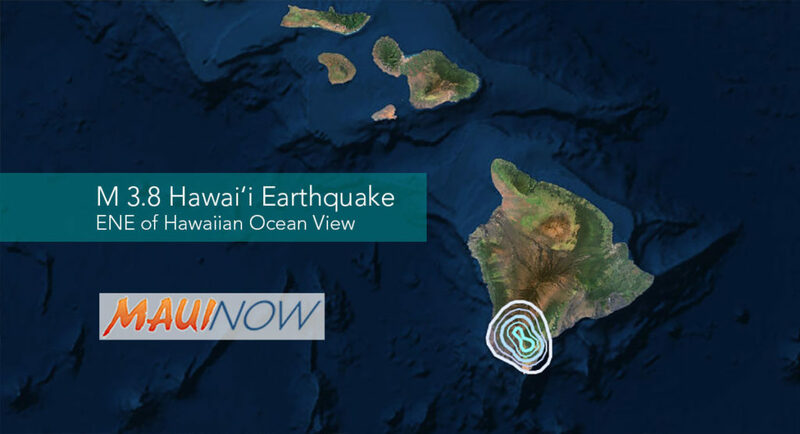 The US Geological Survey’s Hawaiian Volcano Observatory reports the earthquake was located about 16 miles southeast of Hawaiian Ocean View at a depth of 24 miles. 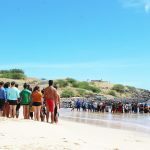 According to HVO Seismic Network Manager Brian Shiro, the deep earthquake was due to bending of the oceanic plate from the weight of the island and poses no significant hazard. 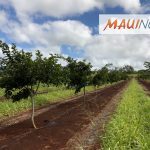 The Pacific Tsunami Warning Center reported that no tsunami was generated and there was no apparent effect on Kīlauea Volcano’s ongoing eruptions. 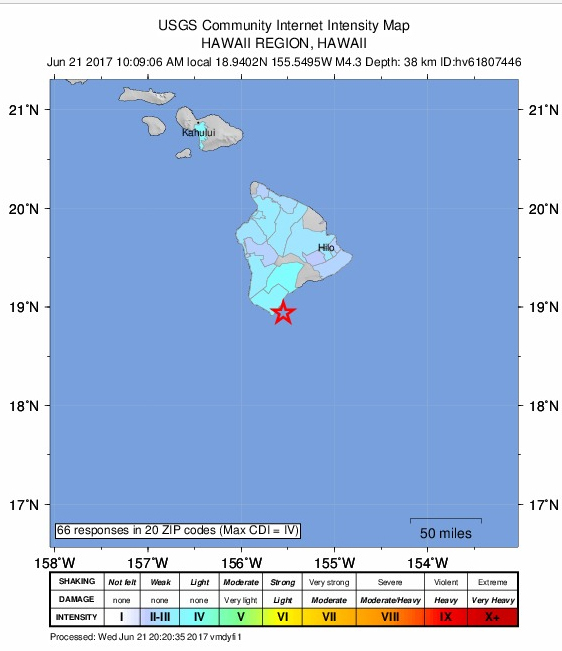 Hawaiʻi quake 6.2.17. Image: Pacific Tsunami Warning Center.